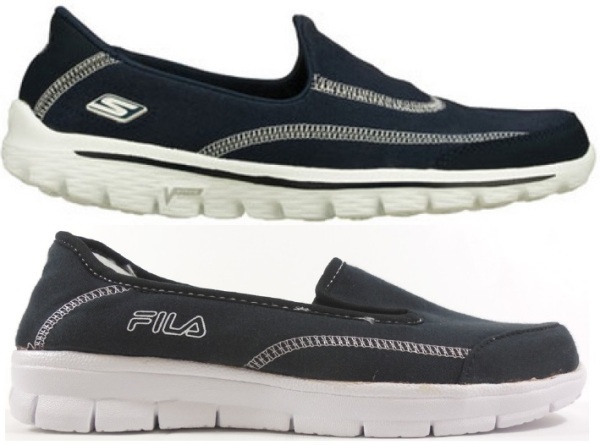 Skechers USA filed a complaint against Fila in the Central District of California-Western Division, alleging infringement of US D661,884 and US D688,446, both directed to slip-on shoes, and alleging unfair competition and trade dress infringement of trade dress rights in Skechers Go Walk(R) shoe. 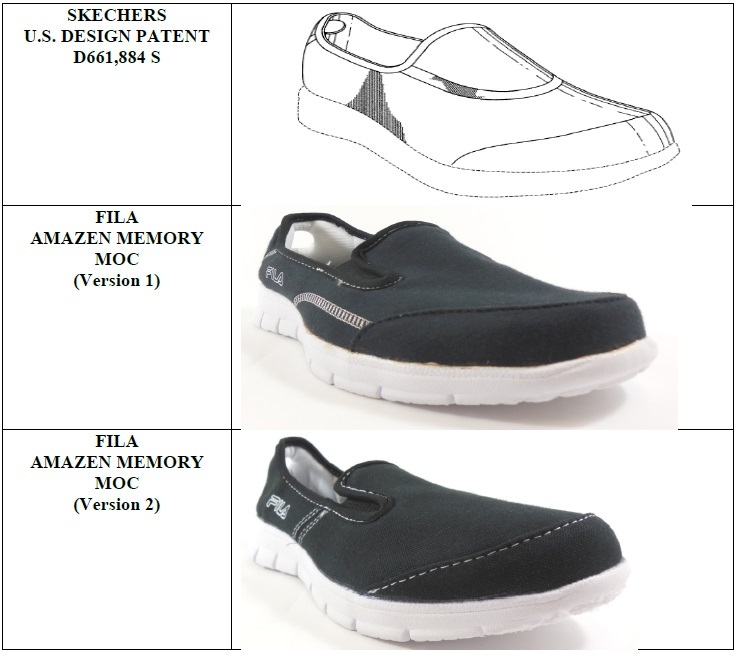 The complaint states a letter providing written notice of infringement was sent to Fila in July 2013, and in August 2013, Fila agreed to cease making the allegedly infringing shoe, the Amazen Memory Moc (referred to as "Version 1"). 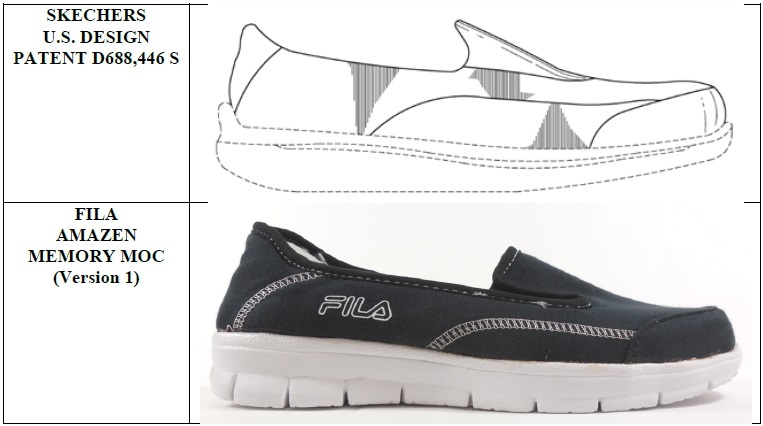 Allegedly, Fila stated it redesigned the Amazen Memory Moc (the redesign referred to as "Version 2") and agreed to cease manufacture of Version 1. However, the Complaint states Version 1 "is still available for purchase nearly one year after Skechers' written notice." Complaint, pages 3 and 20.